Rachel did an excellent job representing me in my child custody case. From day one, she has always been very personable, respectful, attentive, responsive, sensitive, punctual and highly professional in EVERY SINGLE consultation meeting, telephone communication, email correspondence and court room proceeding. Her in-depth knowledge of family law exuded through at every court appearance, in every drafted document and during every counsel to counsel interaction which occurred during the course of my case. The billing practices at the firm are fair and transparent, the staff at the office are polite and responsive and the overall service provided by this firm are second to none. Hands down I would highly recommend Rachel and the Wonens Divorce and Family Law Group to anyone in need of honest, reliable, knowledgeable, effecient and effective legal representation. I can truly say I was blessed with the best lawyers. My case was sensitive as I have a special needs autistic child. Josh and Shay understood what was at stake/hand from the get go. They listened wholeheartedly to my pain, fought tooth and nail for what was right, looked out for what was best for me from day one. They were not just “lawyers”. Both of them comforted me thru a lot of tears and heartache. Josh and Shay–I put you up on a pedestal. I am over the moon that my divorce is over but I truly will miss the both of you. Thank you for doing right by me and my child. I’m looking for help to find out where my bank account at Chase has gone. Megan was outstanding from beginning to end. I was seeking to relocate myself and child out of state to be with my new husband who is in the military and unable to relocate himself. Although the process was grueling (more in part to the opposing counsel!) Megan reassured me and always validated my concerns. My questions and emails were answered and followed up with in a timely manner. She was genuinely concerned with my well being during the duration of the case, which was extremely important to me. In the end, we were able to relocate and even bring to an end multiple other issues. She did everything I needed and more. Highly recommend !! I had a difficult case in that I wanted to remove my son from Illinois (specifically- Cook County). His father visits often with him, paid child support, etc. Though my teenage son has an involved father, I could offer a better quality of life in MO where I would be able to reside with my husband. The case seemed pretty simple but I knew that I had a 50/50 chance as Cook County does not like to allow removal of a child- specifically when the father is involved. I researched several attorneys but ultimately felt the Josh Haid was the best choice if I was going to have any chance at all. I met Josh in his office and we spoke about what my odds were. Josh helped me through court. Though I can not say enough great things about Josh, Suzette (another attorney on the case) was really my rock. She called me when I needed her to, responded to my worried emails and helped me think through my next course of action. My case was not typical in that we were thrown a couple surprises by the judge but that is why I wanted to best attorney that I could possibly have. The case lasted around 5 months but I can finally say the judge granted my relocation request today. I can finally give my son the white picket fence, great school system and community that I have always dreamed of for him. Thank you Josh and Suzette. You have forever changed our lives! James Teich and Rachel Fugett are excellent attorneys and wonderful people. I was always confident in my choice to engage them because of their knowledge and expertise. Despite the personal pain of the situation, I was able to take comfort in the fact that I had advocates in my corner who would fight for me and protect my interests. Their personal warmth and sense of humor also makes them very easy to work with. I would highly recommend them to a friend or family member. Josh Haid was my attorney and he did a good job of explaining my options and telling me when to let things go. Who I really loved in this firm was his assistant, Mary Kate C. She was always prompt at responding to my questions, informative and understanding of my situation. Lawyers are busy people, so it’s important that their left hand man (or woman) is competent and helpful. As we can all agree it’s very difficult to go through a divorce let alone find a good Attorney who will work very diligently for you and your children. I have been divorced for many years and my attorney that I originally had unfortunately passed away. And after my ex husband refused to follow our divorce decree, rather than going through the phone book making phone calls, I decided to go to Chicago myself to the Daley Center and search for an attorney…yes sounds kind of strange, but it’s true. During my search while at the Daley Center I met Attorney James Teich. Funny… I was talking to one of the clerks and he overheard my conversation and said “maybe I can help you”. We chatted briefly, met at his office and I hired him! I could definitely tell by his personality, he is a good person , as he was easy to talk to. I could tell he was NOT one of those arrogant lazy lawyers that was willing to take your money and not do the work for you… And as Lynn P. quoted on Yelp, “James Teich is a rare breed and refreshing”. That he is! He will make sure that things get done. I felt confident with him representing me even though I was not in court with him because I lived out of state. James handled things so proficiently…and for that I am very grateful. I promise you if you hire James Teich to represent you he will not let you down, he worked very very very hard for me and I know had I not met and hired him, I may not have gotten the results that I did. My ex husband appealed the court’s decision and it went into the court of appeals and with James hard work I won my case. James Teich ….YOUR THE BEST WOMAN’S ATTORNEY IN CHICAGO!!! Attorney James Teich is a rare and refreshing breed–an amazing attorney who is astute, tenacious and kind. He gets impressive results because he listens, works hard, and always has his conscience deeply engaged–both in and out of the courtroom. In a word? INTEGRITY. Mr. Teich is a brilliant advocate for women, and I am grateful and humbled by all he has done on behalf of my children and me. Very Strongly recommend. The best! Joshua Haid is awesome. He’s super intelligent, easy to talk to, and most importantly, he’s genuine. As I’m sure you know, the latter isn’t something to be said of most attorneys. Words cannot describe how much he has done for my son and I. I am eternally grateful and highly recommend him to anyone in need. 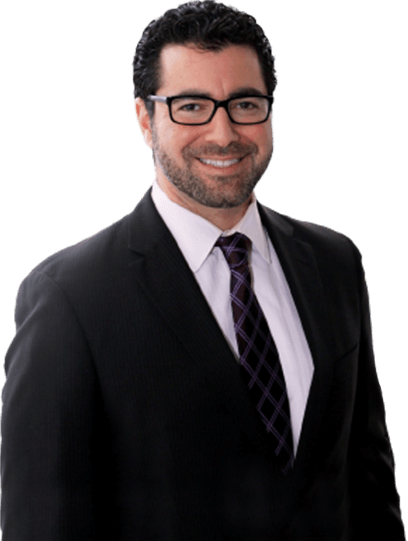 My Attorney Joshua Haid was the most professional Attorney I have ever hired. I have used two other Lawyers one for my divorce who was completely incompetent. The second was for appealing my divorce through the appellate court which I lost. Then I hired Josh and got exactly what I wanted in ONE court date trial. I would defiantly recommend him to anyone who is looking for a divorce lawyer.